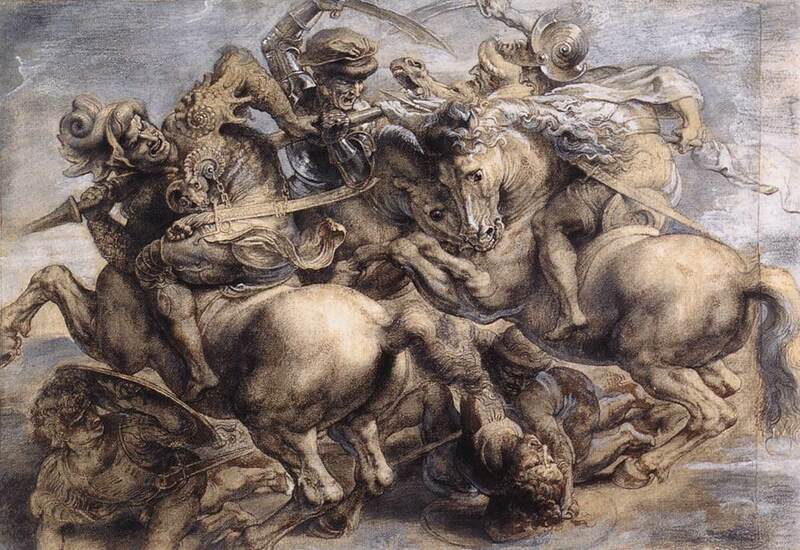 Peter Paul Rubens's copy of The Battle of Anghiari. Starting with the above image by Rubens I developed the composition into the new paintimg (top). If you look closely you can see elements of rubens' work still present in the new design. 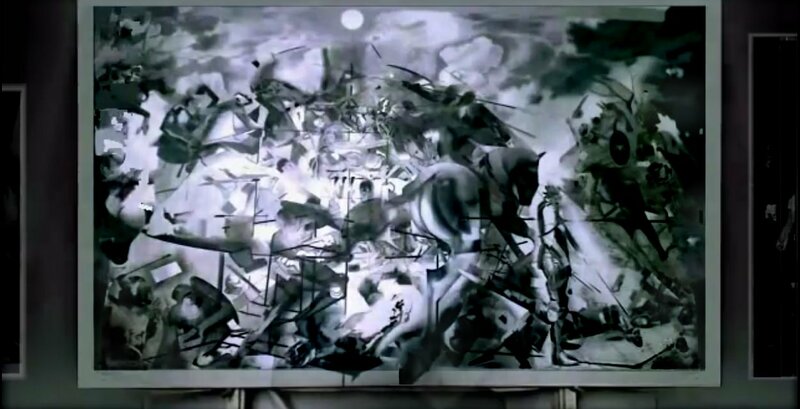 present in the original painting.